Looking for a little pampering? 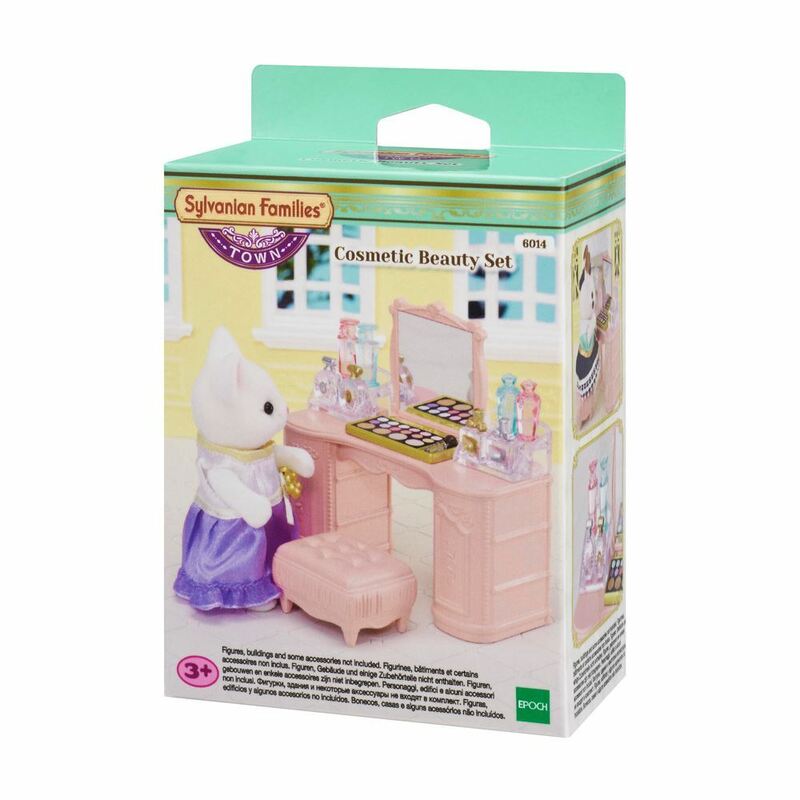 This Sylvanian Families Cosmetic Beauty Set provides a luxury experience. Perfect to place inside the Grand Department Store (sold separately). Includes: an elegant cosmetic counter, stool, lovely cosmetics and accessories. Figures, buildings and some accessories not included. Part of the Sylvanian Families Town Collection. Age 3+ years. Distributed in New Zealand by Holdson.